The Alabama Crimson Tide have always been known to secure the best talent and this case is no different. Earlier today, Alabama defensive end signee Antonio Alfano took to twitter to announce his ranking as the No.1 overall high school player. Yup, the man is 247's TOP prospect for 2019. ​​After their defense was exposed during the championship matchup against the ​Clemson Tigers, ​Alabama and its fans were left devastated. This should bring a smile to a lot of faces. 247Sports has also realized his talent, which made them choose Alfano as the No. 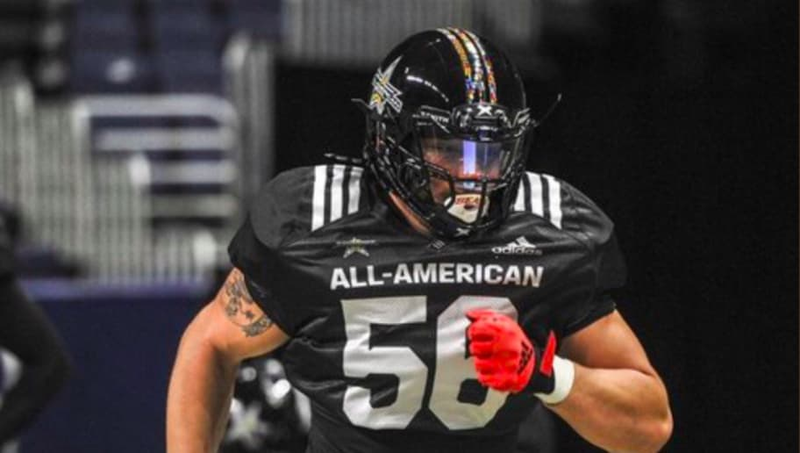 1 overall recruit due his dominance on the field, along with this performance during the All-American Bowl. ​​Several staffers and scouts were asked about his weaknesses and the responses were almost always the same: there are none. Alabama certainly got a special recruit, who will hopefully be a playmaker on the defensive line for years to come in the SEC.